We’ve been out West for a few weeks and it seems like it’s been raining non-stop since we’ve returned. Persistent rain in the South Bay is not part of the Chamber of Commerce pitch. And now, instead of complaining of drought, the locals complain of flooding. The silver lining is that as the rain moves east and is orographically lifted over the Sierra Nevada range, it freezes. 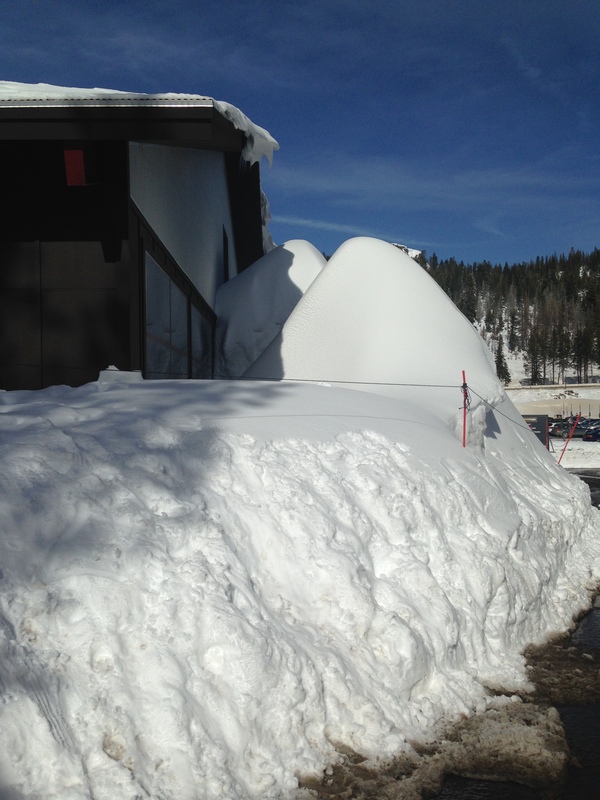 Some are speculating that the ski resorts will be able to stay open into July. This time last year they were closing. 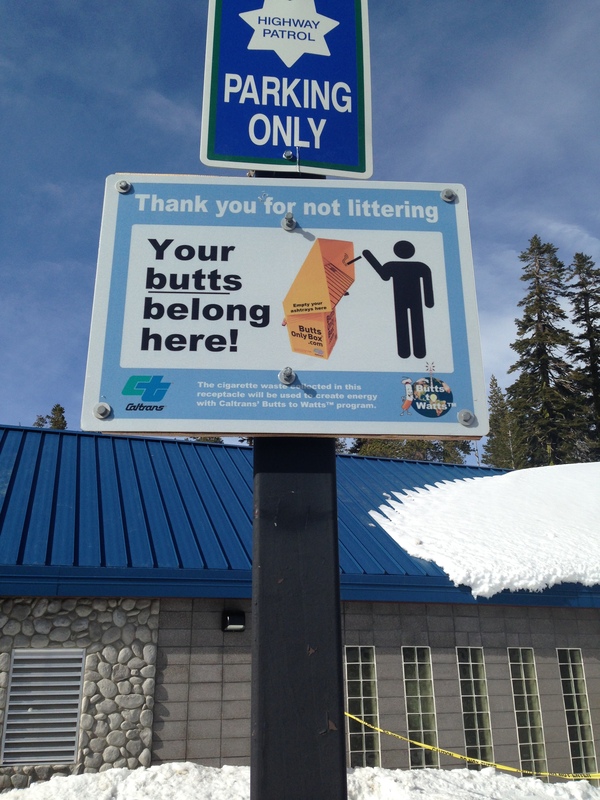 Our first weekend back, we drove to Truckee, Boreal, Squaw Valley and Northstar to check out the slopes. If you enjoyed my recent nanny state post, here’s more. Remember, in California, you are not allowed to have fun. 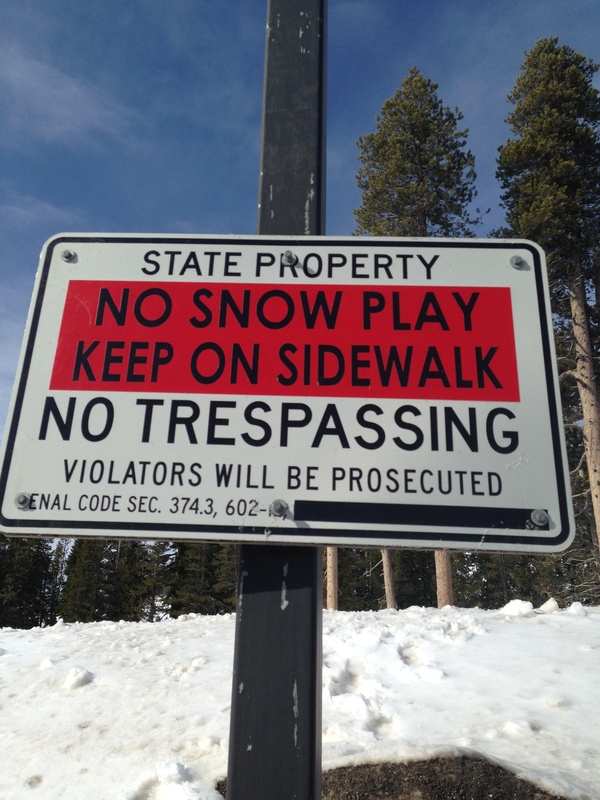 However, from the sounds of the laughing kids sliding down the hill next to the sign below, these rules do not apply if one is unable to read English. Generally, the signs meant to be helpful (such as voting instructions) are in multiple languages. Those meant to harsh your fun are only in English. California. In RV news, McClain’s called and said the Conestoga is ready (it has been for a couple of weeks). They are very prompt, which is great. They were unable to recreate the annoying rear camera glitch issue. But they said everything else (except the glue discoloration on the paneling) is fixed. We will be back in Texas next week to pick it up. We might be able to get it down to Austin for a couple of days of SXSW. Training for the Dallas Rock and Roll Half Marathon has been hampered by flu season. Looks like we will have to get in about 8 miles on Sunday then do a quick taper to be somewhat ready for the run next Sunday. 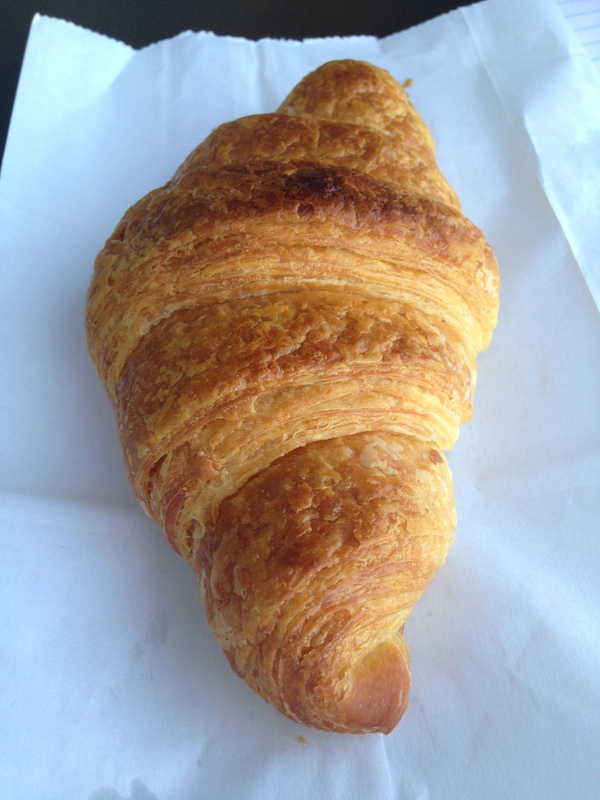 In the meantime, we carb load. This entry was posted in California, Marathons, McClains RV and tagged Half Marathon, McClains. Bookmark the permalink.